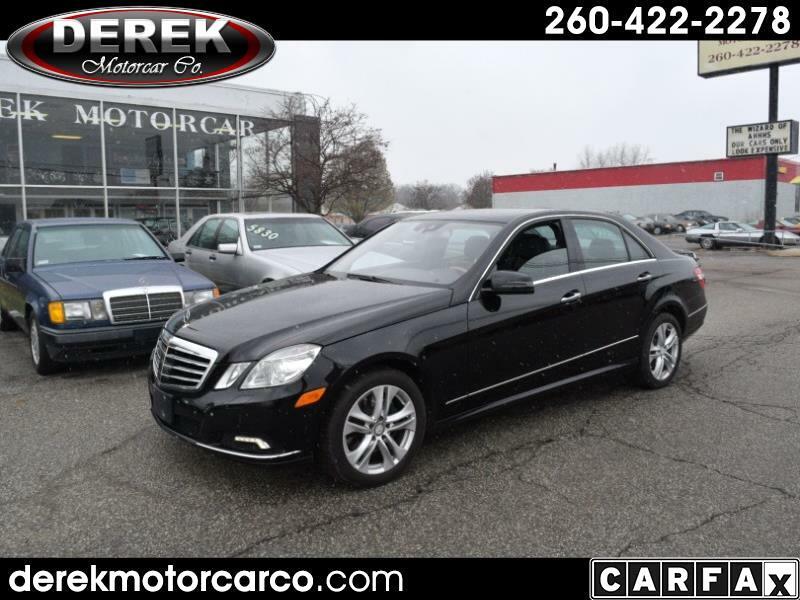 Used 2010 Mercedes-Benz E-Class E350 Sedan 4MATIC for Sale in Fort Wayne IN 46805 Derek Motorcar Co. Some features include: Heated Seats, Automatic Headlights, Daytime Running Lights, Driver Multi-Adjustable Power Seat, Electronic Brake Assistance, Heated Exterior Mirror, Rain Sensing Wipers, Separate Driver/Front Passenger Climate Controls, Steering Wheel Mounted Controls, Telescopic Steering Column, Passenger Multi-Adjustable Power Seat, Side Head Curtain Airbag, Tire Pressure Monito and much more. See option listing for complete options. This car is sharp. Stop in today, you could have in in your driveway by Christmas.